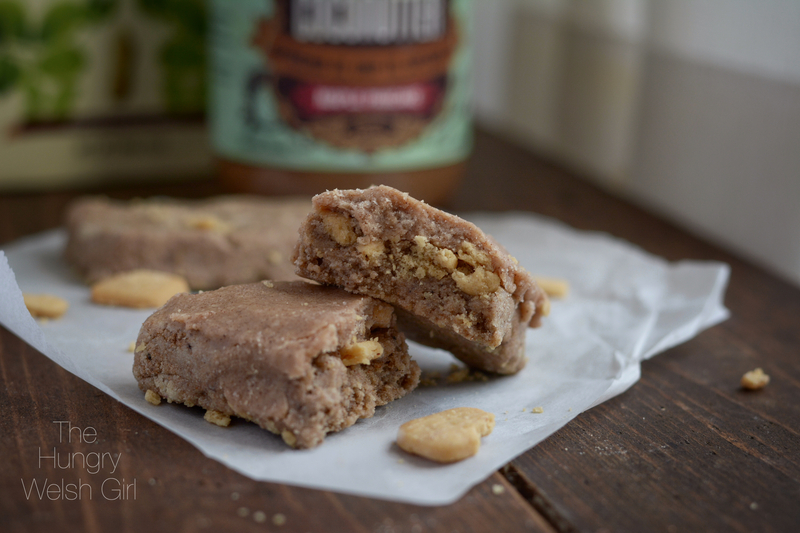 Ever since Quest nutrition revealed their secret to making Questbars, homemade protein bars are fast becoming popular. They are just so easy to make and a lot cheaper than buying them. A quest bar sells for around £2.50, it’s literally daylight robbery and they aren’t the nicest protein bars out there, there are far better. I honestly don’t know what all the fuss is about and after buying and trying the new pumpkin pie flavour, I’m even more sold on making my own ‘Questbars’. The main ingredient when making your own protein bars, is Vitafibre. Vitafibre is a natural prebiotic which is high in fibre and low in sugar, and it comes in the form of either a syrup, or powder. I was lucky enough to be sent Vitafibre syrup a few months ago by Cardiff Sports Nutrition and when I run out, I’ll be running straight to them to buy some more. Not only can you make protein bars with Vitafibre, but you can also make cookies and cakes, you can use it in coffee or on porridge; it’s very versatile and very high in fibre, so perfect if you are the type who struggles with eating enough fibre. I’ve experimented a lot with Vitafibre over the months; I’ve made biscotti and I’ve played around with flavours: Reeses, Banana & PB, Cookies n Cream, to name a few and now pumpkin spice. This protein bar was definitely one of my favourite creations, the inside was beautifully spiced and had the consistency of a cake. I then covered the top layer with peanut butter crackers and coated in a layer of maple pancake coconutter, which is optional, but highly recommended. This recipe makes 4 bars, although you can half it. Heat the Vitafibre syrup and water in a saucepan until foam and bubbles start to form on the surface, remove from the heat and stir in the protein powder and spices, until a dough starts to form. Pour the mixture onto a plate and knead until it’s no longer sticky and form into 2 protein bars. Top with crushed peanut butter crackers and coat with a layer of maple pancake coconutter. For more recipes, reviews and ideas follow me on @Instagram -Happy.Hungry.Healthy or Twitter – TheHungryWelshGirl and tag me in any of the recipes you try!